After a weekend of being with our meat eating family it was definitely time for a vegan dinner. 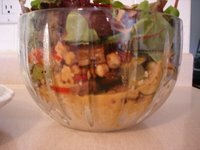 I made this visually stunning salad to nourish our bodies and bring us straight back to our prefered method of eating. 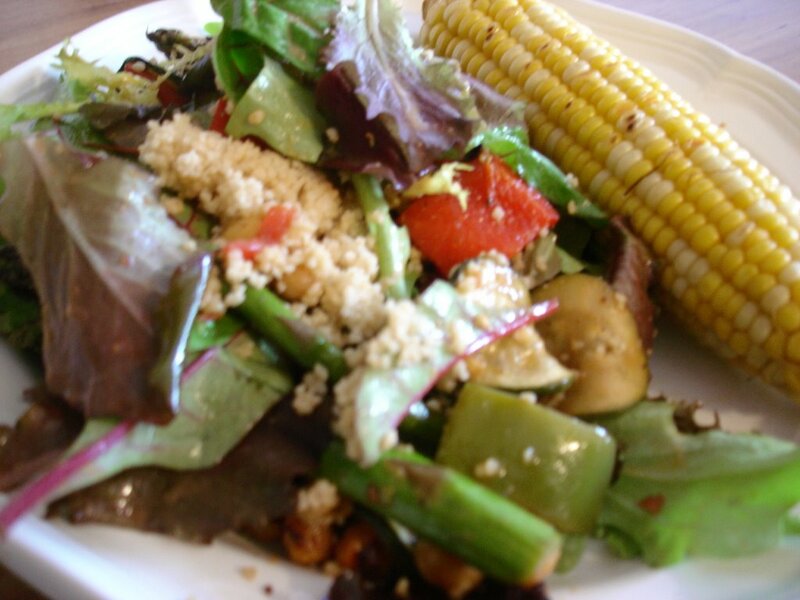 This salad starts with a layer of couscous (I used whole wheat couscous). It is followed by roasted vegetables. Today I roasted red and green peppers, chinese eggplant, zucchini, asparagus, and a little bit of tomatoe. I put a bed of fresh lettuce on top. 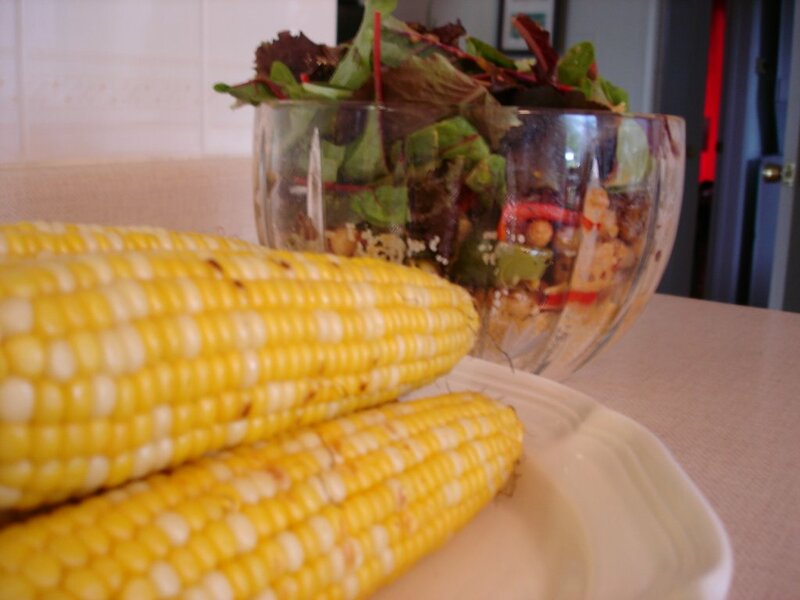 The dressing was a combination of blended tomatoe, olive oil, cumin and cayene pepper. 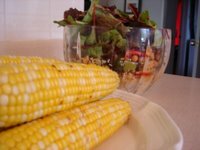 I served it with grilled corn on the cob. 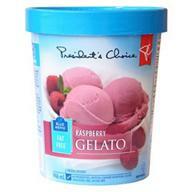 We finished with Presidents Choice Raspberry Gelato - one of my daughter's new favourites. All in all a delicious and nourishing meal. Boy, it sure is great to be home! 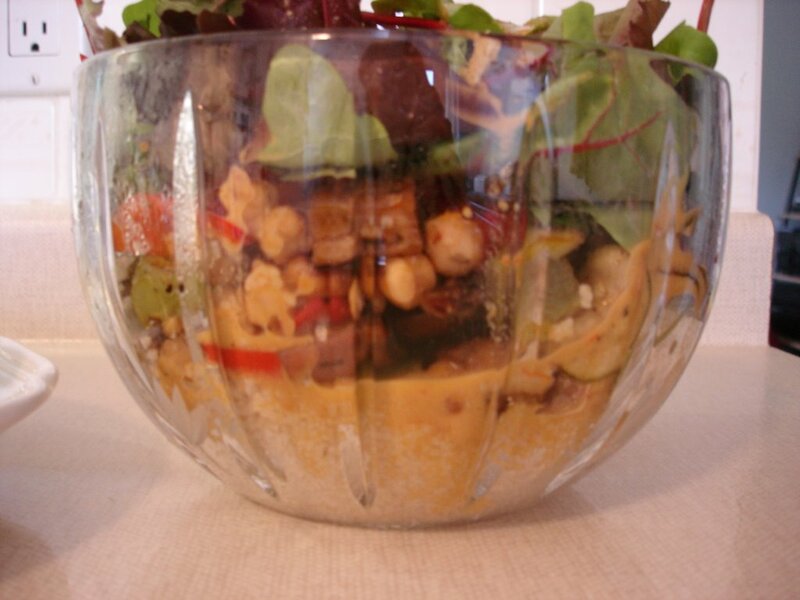 I love how you layered the salad. It looks gorgeous! Thanks for the comment. I love getting comments on my blog! I found this recipe in a vegetarian book from the library... it was the only recipe in the whole book worth trying... everything else was loaded with dairy and cheese. I even took the cheese out of this salad. Anyway, it is a keeper. Definitely something great to take with you that looks impressive and that can feed our vegetarian family as a main course and our meat eating family can enjoy it as a side.